Group ranches host significant proportions of Kenya’s terrestrial wildlife populations—including elephants that live outside or use lands beyond protected areas—and are predominantly inhabited by pastoralists. Since its implementation in the 1960s, the group ranch model has struggled to meet the demands of rising human and livestock populations and climate change impacts. 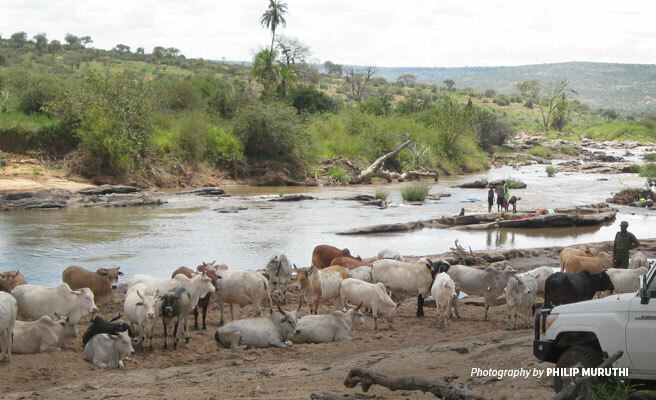 Constrained by a lack of open space critical to their livelihood and facing dwindling prospects, group ranch pastoralists are increasingly sedentarized and diversifying into cultivation and tourism, often at the expense of wildlife populations and ecological processes. Conservation organizations, including the African Wildlife Foundation (AWF), tried to address this problem by developing community-based conservation (CBC) programs to support group ranch pastoralists. 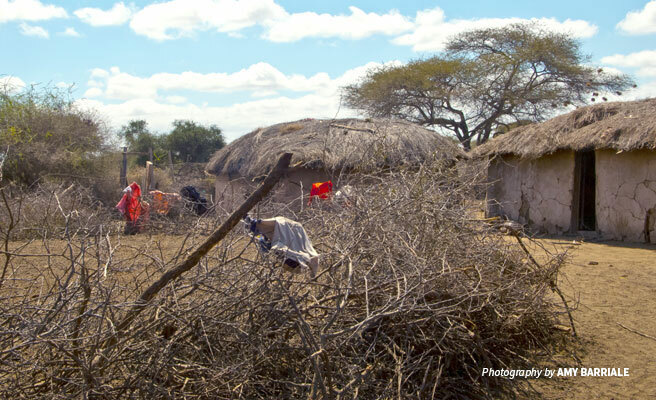 AWF used several strategies that incentivized local communities to dedicate a portion of communal land for conservation management. The participatory process to create CBC management zones involves group ranch members as well as external stakeholders including the Kenya Wildlife Service. Years after applying these CBC strategies, conservationists asked: how well are they performing? However, a combined lack of investment, inexpensive and accessible tools, limited methods and data availability meant that CBC performance questions remained largely unanswered. AWF developed a simple approach that used an interpretation of very-high-resolution (VHR) satellite imagery and standard Geographic Information System (GIS) techniques to measure the performance of CBCs management zones. 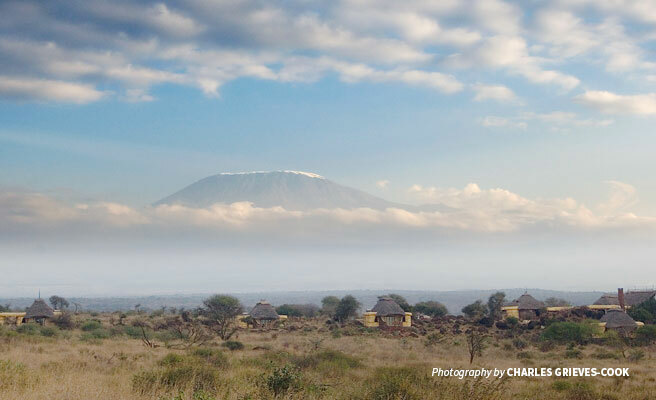 Our study focused on four group ranches: Kijabe, Koija and Tiamamut located in the core of Kenya’s Laikipia-Samburu ecosystem and Elerai near Amboseli National Park. The Samburu CBCs help support Kenya’s second-highest density of wildlife, including the largest population of elephants outside of protected areas. Elerai buffers a major wildlife corridor linking Amboseli with a conservation complex containing Chyulu, Tsavo East and Tsavo West National Parks. We applied a similar conservation logic in Kijabe, Koija and Elerai with the establishment of CBC lodges. The Koija Starbeds Lodge opened in 2001, the Sanctuary at Ol Lentille in Kijabe opened in 2005, and the Satao Elerai Safari Camp opened in 2006. In Tiamamut, however, AWF engaged local communities in a CBC agreement to restore pasture and improve livestock management in in exchange for creating conservation zones. Do conservation management zones restrict development? To measure these changes since the initiation of each CBC project, we generated a full and accurate inventory of the structures and land modification areas across the all CBC management zones by interpreting Quickbird imagery freely available via Google Earth. We then overlaid the baseline datasets atop contemporary imagery and determined which features persisted, were added or were removed between the time periods. Measuring development in conservation zones was a simple way to evaluate the degree to which land was being held open for conservation. We found no development in Kijabe’s and Elerai’s conservation zones, significant development in Tiamamut’s conservation zone, and more mixed results in Koija. To confirm these findings from the sky, we investigated the ground for corroborating evidence. Independent field research found that Kijabe’s and Koija’s conservation areas exceed Tiamamut’s in terms of vegetation species richness, vegetation biodiversity, and range conditions. Independent interviews of group ranch members confirm widespread unauthorized grazing in Tiamamut and Koija’s conservation zones, but not in Kijabe. In fact, Kijabe’s Ol Lentille conservancy has expanded its conservation area over seven-fold through agreements with neighboring communities. Despite having a significantly higher population density, higher population growth than the other group ranches and availability of fertile land for cultivation (factors that contribute to development), Elerai posted zero changes for both development indicators. Our evaluation of the land-use change over time suggests that the CBCs with lodges controlled non-tourism development far more effectively than Tiamamut which had no lodge. Lacking a motivating tourism driver in Tiamamut, group ranch members appear to manage their conservation zone more for grazing than for conservation and wildlife tourism, breaking their ranch's management bylaws. The CBC lodge approach is built on the belief that local communities are best positioned to manage their land and deliver conservation results. Moreover, the jobs and benefits generated by the lodges and related tourism enterprises provide direct and sustainable incentives for community implementation of the land-use plan. While our study lacked sufficient numbers of group ranches to define study and counterfactual (or control) groups, our approach could be readily expanded in to generate statistically significant results. The independent field surveys and interviews, however, bolster confidence in our findings. Our use of freely available VHR satellite imagery allows us to quickly and rigorously evaluate CBC effectiveness and represents a cost-effective addition to AWF’s conservation toolkit. With Africa experiencing unprecedented and accelerating land modification, habitat loss and fragmentation, our threat-based approach could help conservationists by tapping the unexploited potential of VHR imagery to generate rapid, inexpensive, frequent and accurate impact evaluations. This article is adapted from a journal paper published in Environmental Conservation. David has 20 years of experience as an ecologist applying GIS and remote sensing to benefit ecological and conservation programs across two continents. He has led the African Wildlife Foundation’s Spatial Analysis Laboratory for over a decade to support conservation planning and monitoring under the aegis of AWF’s landscape conservation approach. David’s research interests include monitoring and evaluation of conservation outcomes and the use of spatial tools to map and simulate land-use impacts on ecosystems, wildlife populations, and human livelihoods. A graduate of the Nicholas School of the Environment at Duke University, David is based in AWF’s Washington DC office.